Rocco Pietrini was born in Jesi, Italy, on 26th August, 1986. In 2013, he receives the B.Sc. degree in Computer and Automation Engineering from Polytechnic University of Marche with a thesis entitled "Portale per la gestione delle attività di un gruppo di ricerca gestito tramite CMS" (supervisor Prof. Donato Iacobucci). During this period spent 5 months at Université Paris XIII in Paris, as Erasmus student. In 2016, he receives the M.Sc. degree in Computer and Automation Engineering from Polytechnic University of Marche with a thesis entitled "Design and development of a Human Machine Interface in interactive multimedia environments" (supervisor Prof. Emanuele Frontoni). In April 2016 he was a computer engineer at Grottini Lab for retail intelligence applications. 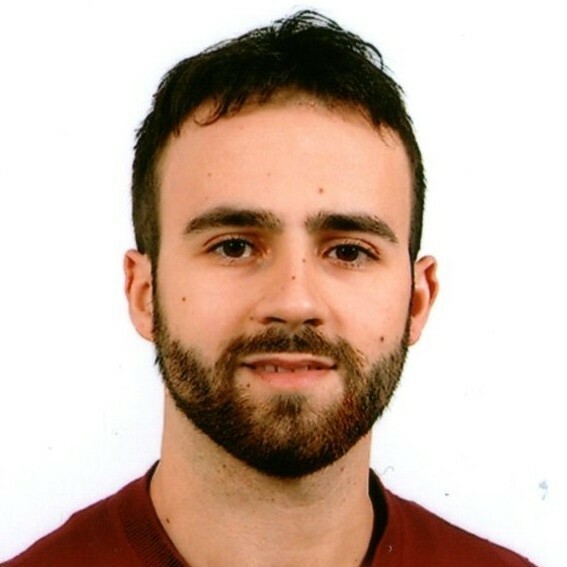 Since November 2016 he is in the PhD School at Polytechnic University of Marche, under the supervision of Prof. Emanuele Frontoni, mainly working in human behavior analysis in retail context, using deep learning and computer vision. In July 2017 he attented the VISUM Computer Vision and Machine Learning Summer School in Porto (Portugal). He was a speaker at the Embedded Vision Summit held in Santa Clara, 21-24 May 2018 with a talk: "Deep Understanding of Shopper Behaviors and Interactions Using Computer Vision". In July 2018 he attended the AI-DLDA International Summer School on Artificial Intelligence held in Udine and ICVSS International Computer Vision Summer School held in Punta Sampieri - Scicli. Currently lab assistant for the Computer Vision course.